In addition to the freshly-announced E72 and 5530 XpressMusic, Nokia has also come up with an offering for the users that demand a simpler, yet functional phone. We are speaking of the Nokia 3710 fold, which is a compact clamshell, equipped with a 2.2-inch main display with QVGA resolution. Other features of this unpretentious device include 3.2-megapixel camera with LED flash and microSD card slot. 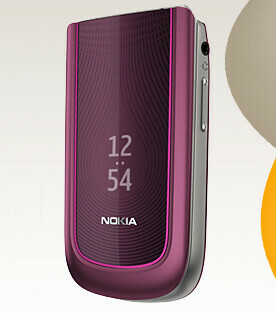 The Nokia 3710 fold is also trying to be eco-friendly. It comes in a reduced-in-size box made of up to 60% recycled materials. Also, the device is up to 80% recyclable and will come in a variety of colors – pink, black or plum. The 3710 fold is a quad-band GSM, which is scheduled for a Q4 launch with both European and American 3G versions. There will also be a T-Mobile 3G version.